Moving right along on the Rainbow scrap challenge. Working on blue this month and only have 5 more to do and July patches will all be made. Hoping to start putting together some Jack's Chain block this month as well. I broke my toe a couple weeks ago, and would think by now it would quit hurting. But when I try to sew on my machine, seems like the little bit of pressure it takes to press the foot pedal inflames my foot. This is not good.....I have a Bali Wedding Star to finish! I see nine patches lol. Beautiful! 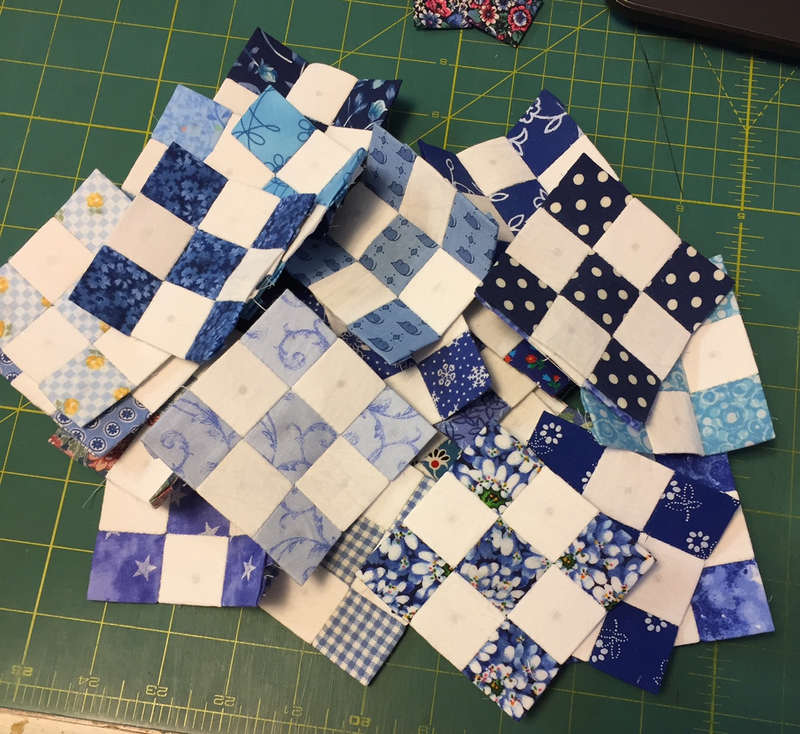 Wonderful variety in your BLUE 9-Patch blocks!! I'll be looking forward to seeing Jack's Chain blocks come together, too. That's a shame about your toe. Hope it feels better soon. Lovely blue patches for RSC. I am looking forward to the rest f the story when these patches all join up. I am a master toe breaker so I can say I feel your pain. Hope that toe will soon be cooperating. Your blues and whites are so fresh and clean looking. Perhaps you could sew using the other foot for a while? I have learned to alternate depending on which knee is aching more at any given time. Luv blues! And your 9-patches are great! Hope your toe will be better very soon!